A Variety of Sashings Provides Texture! I’ve added some new digitized sashings for Gammill Statler Owners! 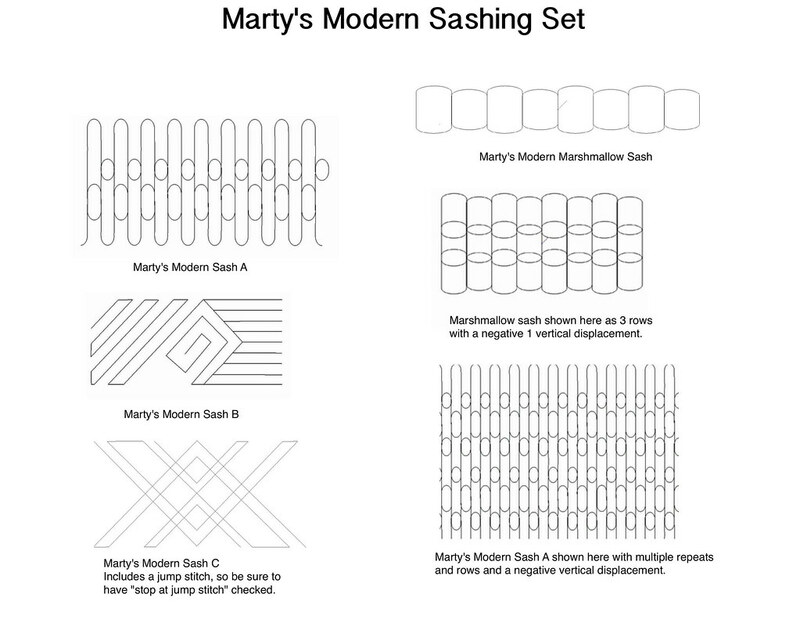 This set includes four of the sashings I designed for use on a vintage modern quilt made by Mary Kerr. 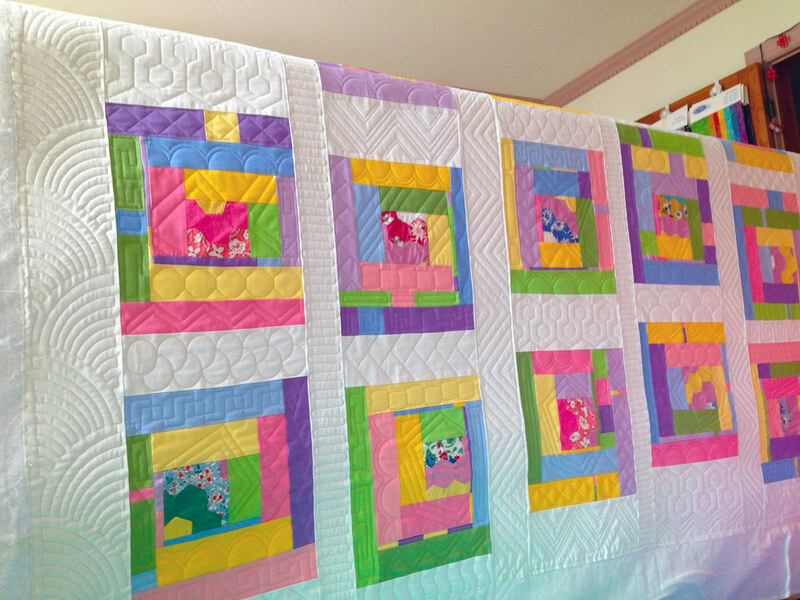 Here is a photo of the finished quilt while it is still on my frame. It is so much fun to play with a variety of shapes and sashings when quilting a modern type of quilt. It gives a great feeling of textures and is visually stunning. Remember, you can never have too many sashings! There is so much you can do with them if you remember to play.